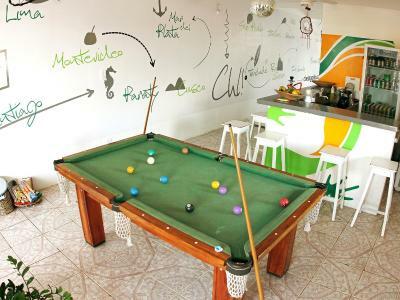 Lock in a great price for Che Lagarto Hostel Itacaré – rated 9.2 by recent guests! I liked everything about my stay. 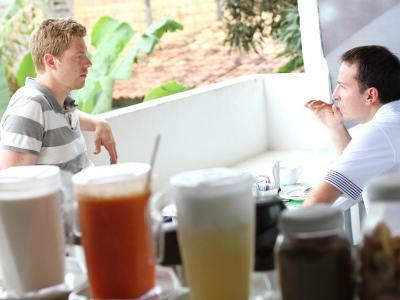 The breakfast was top notch and the hostel guide Devid is the best in Itacare! Excellent hostel well located. The staff is very helpful and friendly. 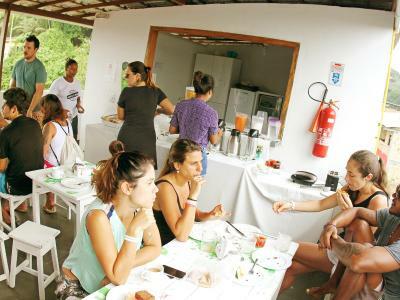 Itacare is one of the best surf spots in Brazil and there is a lot of good restaurants around the hostels. The breakfast was great and the staff that work there are awesome. Big Shoutout to Cecilia and Lily. They help you with the tours and anything else you might need. The location cant get any better then this, right on the main street with all the restaurants. 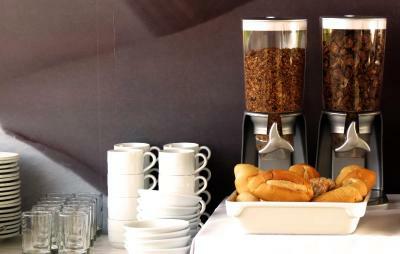 Also, the room was big and comfortable and the breakfast was really good. Because of the carnaval the prices were a bit higher, but the overall experience was great!! 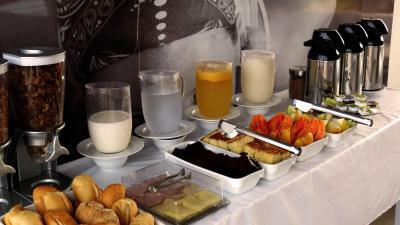 Breakfast was excellent however the area breakfast is served in needs a fan. There's a really nice, friendly, helpful lady working in reception. 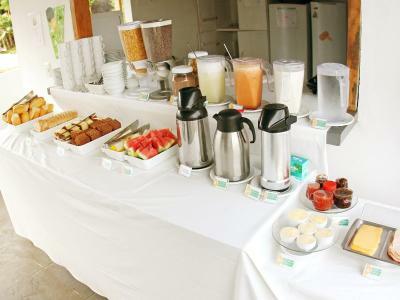 Great location, very nice staff and awesome breakfast. Breakfast was great with eggs and a toaster. We stayed in a double room which was comfortable. The staff are really friendly. The location is perfect, it’s on the Main Street but I didn’t hear any noise at night so it didn’t keep me up. Perfect for the young ones :) we had a prefect time! Amazing staff!!! 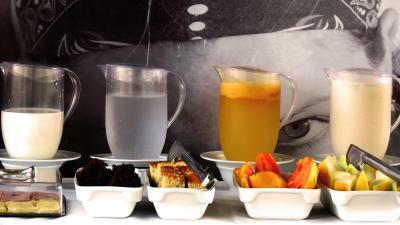 One of our best sellers in Itacaré! This hostel is on Itacaré´s popular Pituba Street, a 10-minute walk from the historical center and beaches. 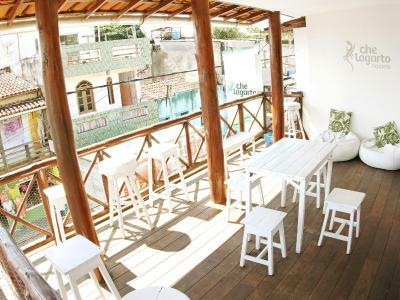 It features a pub with panoramic street view, plus free WiFi. 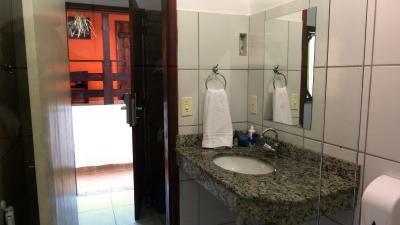 Accommodations at Che Lagarto Itacaré is air conditioned and comes with private bathroom. 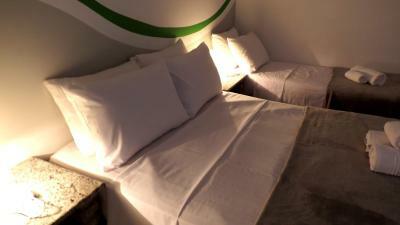 There are beds available in mixed dormitories and private rooms for up to 3 guests. 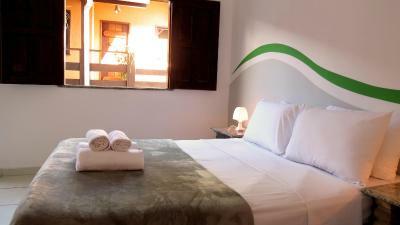 Facilities are colorful and include a lounge for watching TV and DVD. 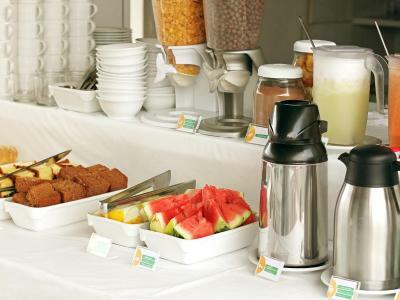 Besides enjoying a buffet breakfast, guests can use the open kitchen. Che Lagarto Itacaré is 4 blocks from Rua da Rodoviária, the street leading to the bus station, and 3 blocks from Rua das Praias, which is the street leading to the beaches. There are 6 beaches within 3 to 15 minutes by foot from the hostel. 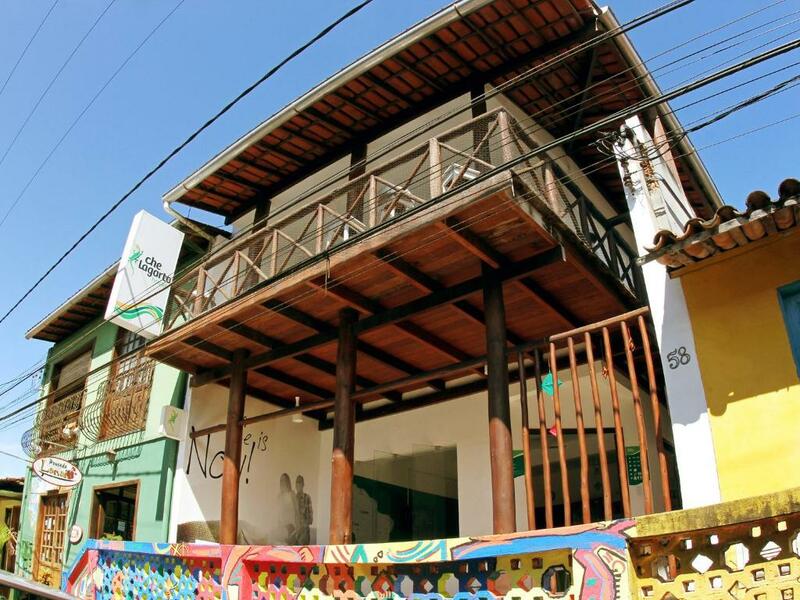 뀐 Located in the top-rated area in Itacaré, this property has an excellent location score of 9.8! 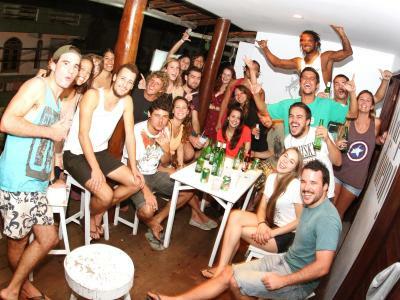 When would you like to stay at Che Lagarto Hostel Itacaré? 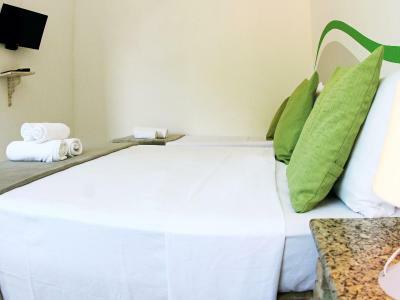 This private room offers a touch of color, TV, air conditioning and a private bathroom with towels. This dormitory offers air conditioning. It accommodates 4 bunk beds. 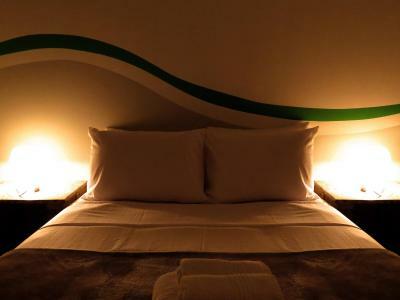 The bathroom is shared among guests staying in this dormitory. This dormitory offers air conditioning. 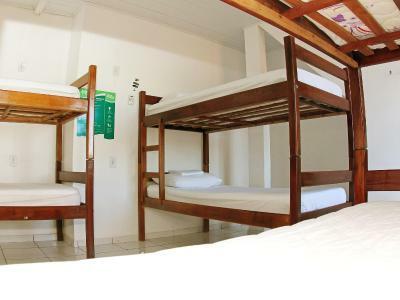 It accommodates between 2 and 4 bunk beds. The bathroom is shared among guests staying in this dormitory. 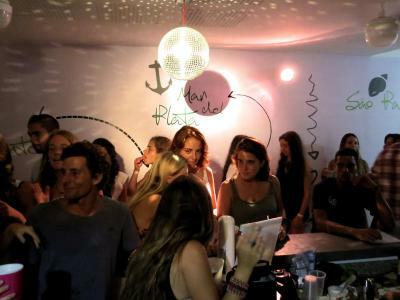 House Rules Che Lagarto Hostel Itacaré takes special requests – add in the next step! 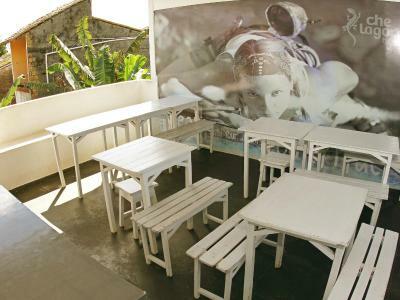 Che Lagarto Hostel Itacaré accepts these cards and reserves the right to temporarily hold an amount prior to arrival. Please note that refunds are subject to a fee of 2.5% of the total price of the reservation and a fixed amount of USD 12. Please note that minors under 18 cannot be accommodate in shared rooms. There was no real atmosphere in the evenings while we stayed there. need a extra blanket as I feel cold at night. Great and helpfull staff, good wifi, location amazing and very clean!! No where to rinse or dry any clothes.